Iran must halt its nuclear program for at least a decade if it wants to strike a deal with the US, President Barack Obama has said. However, the odds are against talks with Iran ending with an agreement, Barack Obama told Reuters. Negotiations on Iran’s nuclear program are at a critical stage, with an outline agreement due on March 31. Israel’s PM Benjamin Netanyahu is expected to urge the US Congress on March 3 to oppose a deal. He was invited to speak at the US Capitol by Republican House Speaker John Boehner, angering Democrats. Benjamin Netanyahu – who faces domestic elections in two weeks’ time – will not meet President Barack Obama during his visit to the US. 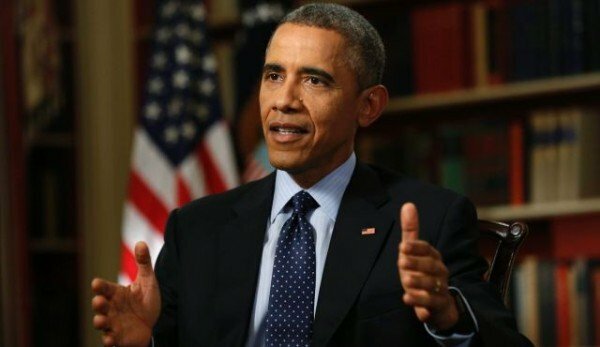 In his interview, Barack Obama said disagreements over Iran would not be “permanently destructive” to the US-Israel relationship. However, Benjamin Netanyahu had been wrong on Iran before when he opposed an interim nuclear agreement struck last year, Barack Obama said. None of that has come true, the president said. The US, along with the UK, France, Germany, Russia and China, are seeking to reach agreement to curtail Iran’s nuclear program in exchange for sanctions relief. They are trying to address concerns that Iran is seeking nuclear weapons technology, something Tehran denies. Secretary of State John Kerry is holding talks with Iranian Foreign Minister Zarif in Geneva, Switzerland, as part of the ongoing negotiations ahead of a March 31 deadline for a framework agreement. The aim is then to secure a final deal by June 30. Barack Obama said that if Iran was willing to agree to “double-digit years of keeping their program where it is right now and, in fact, rolling back elements of it that currently exist… and we’ve got a way of verifying that, there’s no other steps we can take” to ensure Iran does not have nuclear arms. Barack Obama said that while a deal was still unlikely, it would be better than the alternatives. “If they do agree to it, it would be far more effective in controlling their nuclear program than any military action we could take, any military action Israel could take, and far more effective than sanctions will be,” Barack Obama told Reuters. The US goal is to make sure “there’s at least a year between us seeing them try to get a nuclear weapon and them actually being able to obtain one,” he said. The Israelis say any agreement that leaves Iran with a workable nuclear industry, now or in the future, is too dangerous. “I have a moral obligation to speak up in the face of these dangers while there is still time to avert them,” Benjamin Netanyahu told the American Israel Public Affairs Committee (AIPAC) conference in Washington on March 2. The leading Republican and Democrat on the House foreign relations committee have sent a letter to Barack Obama highlighting their concerns about a deal. They said Congress must be convinced that any pathway Iran might have to developing a nuclear weapon is shut off before Congress considers easing sanctions. US national security adviser Susan Rice has warned Congress not to seek new sanctions against Iran while the talks with world powers are ongoing.